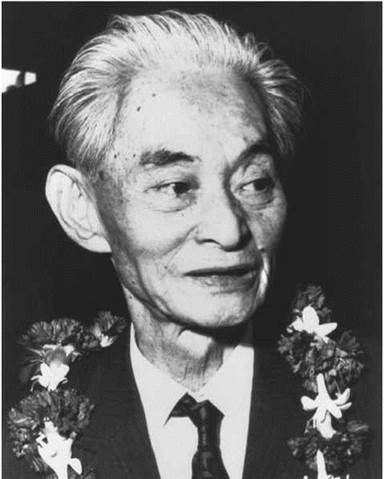 Yasunari Kawabata. Kawabata, Yasunari, photograph. AP images. Yasunari Kawabata is an internationally acclaimed fiction writer and the first author from Japan to win the Nobel Prize for Literature. His works are noted for their blending of a modern sensibility with an allusive, highly nuanced style derived from traditional literature. Kawabata strove, in both his short and long fiction, to create exquisitely detailed images that resonate with meanings that remain unexpressed. Early Tragedies. Kawabata was born on June 14, 1899, in Osaka, Japan. He was orphaned at an early age. His father died when he was two, and his mother died the following year. Biographers point out that the young Kawabata suffered several other losses and earned the nickname Master of Funerals for the number of ceremonies he attended in his youth, including those of his grandparents, with whom he lived after his parents died, and that of his only sister. Kawabata began his literary activities while still in his teens. His earliest known story was ‘‘Diary of a Sixteen-Year-Old,’’ written in 1914 and recording his impressions at the time of his grandfather’s death. He attended Tokyo Imperial University and obtained a degree in Japanese literature in 1924. As a young man, Kawabata was interested in Western literature and artistic movements. While he had these interests, Japan was being recognized as the third leading naval power in the world, and saw its domestic economy rapidly expanding. Japan was being transformed from an agricultural to an industrial nation, and universal manhood suffrage was enacted in 1925. James Joyce and Kawabata’s Entrance into the Literary Scene. Proficient in English, Kawabata read James Joyce’s Ulysses in its original language and was strongly influenced for a time by stream-of-consciousness techniques. Joyce was going through a long struggle to overturn a ban imposed on his novel in a number of countries. The controversy over Joyce’s novel is indicative of the times, for the perceived problem with the text is a scene in which Joyce depicts one of his characters masturbating. Kawabata was not alienated by the text and its supposed immoral content. In fact, after reading the text, Kawabata joined a number of other writers to form the literary journal the Age of Literary Arts, which favored Shinkankaku-ha (The Neosensualist or New Perception- ist) movement in literature. Although Kawabata’s active participation in such movements is generally regarded as exploratory and temporary, he maintained an interest in modern literary currents throughout his life. His only career was as a writer, besides brief teaching stints at American universities in the 1960s. Illustrious Career, Tragic Suicide. Best known as a novelist, Kawabata nevertheless wrote short stories throughout his career, and he himself suggested that the essence of his art lay in his short pieces. In English, his short fiction is principally represented by two collections: House of the Sleeping Beauties, and Other Stories (1961) and Palm-of-the-Hand Stories (1988). The former contains, in addition to the title work, ‘‘Nemureru Bijo,’’ the stories ‘‘One Arm’’ and ‘‘Of Birds and Beasts.’’ The latter features just over half of the estimated 146 very brief pieces that Kawabata called tanagokoro no shosetsu (‘‘stories that fit into the palm of the hand’’). Sometimes little more than a page in length, these highly condensed, allusive stories range in tone and form from the humorous to the poignant evocation of a single image or mood. His last, ‘‘Gleanings from Snow Mountain,’’ written just prior to his death, distills his full- length novel Snow Country (1937) into a story of some nine pages. ‘‘The Izu Dancer,’’ one of Kawabata’s first literary successes, was also published in an English translation in the anthology of Japanese fiction The Izu Dancer, and Other Stories (1964). Committed Suicide. During his career, Kawabata won a number of Japanese literary awards and honors, as well as the German Goethe Medal (1959), the French Prix du Meilleur Livre Etranger (1961), and the Nobel Prize (1968). Kawabata took his own life in 1972; he left no note, and the reasons for his suicide are unknown. Erich Fromm (1900-1980): The German American philosopher, psychologist, and psychoanalyst who was associated with the Frankfurt School of Critical Theory. His books include Escape from Freedom (1941). Roberto Arlt (1900-1942): An Argentinian author whose novels utilized slang, including copious amounts of vulgarity, which was unusual for Argentinian literature of the time. His novels include Seven Madmen (1929). Hirohoito (1901-1989): Emperor of Japan during World War II and beyond. Ernest Hemingway (1899-1961): An American novelist and short-story writer. Like Kawabata, Hemingway sometimes wrote very short stories (often called vignettes), most of them included in his collection In Our Time (1925). Hemingway committed suicide in 1961. Robert Oppenheimer (1904-1967): American physicist who directed the U.S. government's Manhattan Project, which was responsible for developing the world's first nuclear weapon. Crank (2004), a novel by Ellen Hopkins. This novel about teenage drug addiction is written entirely in poems— poems intended to capture the intense feelings experienced by the addicts themselves. Iron and Men (1915), a play by Paer Lagerkvist. Lagerkvist, when he wrote this play, believed that literature needed a shot in the arm in the form of expressionism and cubism, the ideals of which he attempted to exemplify in the play. Kawabata was an avid reader of both English and Japanese literature. As a teenager, he was enamored with the work of James Joyce, and this interest led him into multiple experimentations with form and narrative technique, including the use of stream of consciousness. As Kawa- bata continued to mature as an author, however, he moved into a less easily labeled form of writing, based in part on the elusiveness of haiku. Finally, Kawabata fully realized his literary style in the creation of what he called ‘‘palm-of-the-hand stories,’’ in which small incidents and stories stand for much more than they appear to. Experimentation. Kawabata’s literary prominence began early when as a student in 1924 he joined with Riichi Yokomitsu and other young writers to found the literary journal the Age of Literary Arts, the mouthpiece of the Shinkankaku-ha, or Neosensualist movement. Members of this short-lived but important avant-garde literary movement experimented with cubism (an art style that breaks down the natural forms of subjects into geometric shapes), Dadaism (a style that ridiculed contemporary culture and art forms), futurism (a movement that opposed traditionalism and stressed the ideals and dynamic movements of the machine age), and surrealism (an art and literary style that drew on the subconscious for inspiration and often used fantastic imagery) in an effort to capture the pure feelings and sensations of life. For a time, Kawabata was also influenced by stream- of-consciousness techniques but later returned to a more traditional style that critics have had difficulty categorizing because of its uniqueness. ‘‘Palm-of-the-Hand Stories’’. Many of Kawabata’s short stories are in the form of what he called tanagokoro no shosetsu (‘‘palm-of-the-hand stories’’), a selection of which has appeared in English under the same title. He said he wrote them in the same way that others wrote poetry. However, the implications of a ‘‘palm’’ story, sometimes only a few paragraphs long, reach beyond the obvious reference to the scale. In Japan, as in the West, there are many people who profess to read fortunes from the pattern of lines on the hand, and with all such magical systems there are elements of synecdoche (a figure of speech in which a part is used for the whole or the whole for a part) and metaphor—the hand representing the circumstances of the entire body and one small line standing for a whole complex of events. Many of Kawabata’s short short stories work in precisely this way, an apparently casual remark or trivial circumstance alluding to a crucial event in a person’s past, or else predicting one in the future. For example, in ‘‘The Sparrow’s Matchmaking,’’ a man is trying to decide if he wants to marry a woman whose photograph he has been shown, when he suddenly sees the image of a sparrow reflected in the garden pond. Somehow sure that this sparrow will be his wife in the next life, he feels that it will be right to accept the woman in the photograph as his bride in this life. A Christian reference to the sparrow is almost certainly intended, since Kawabata read the Bible carefully and often alluded to it in his stories. In the Bible, Jesus says that since God guides the lives of creatures as insignificant as sparrows, surely he guides and protects humans. Influence. Kawabata carved a unique niche in world literature, and while many have praised his writing, none has really been able to follow his lead. American author Steven Millhauser has approximated the suggestiveness of Kawabata’s stories, but Millhauser’s work belongs to another tradition altogether—surrealism—and is easily yoked to the conventions of that school of writing. While recognizing the difficulty of reading Kawabata’s works—indeed, they often concede that much of what makes the work worth reading is difficult if not impossible for Western readers to fully grasp—few critics say that the struggle is unwarranted. Critics, in fact, struggle for the words to describe the subjective, intuitive nature of the writer’s work, suggesting that while one often has a powerful experience while reading Kawabata, it is nearly impossible to pinpoint the origin and exact nature of this experience, let alone how the text provoked it. It is this elusive nature of Kawabata’s work that intrigues critics most and is the subject of much of their appraisal of his work. Critics commonly praise the vivid clarity of Kawaba- ta's images and their power to evoke universal human fears of loneliness, loss of love, and death. Yukio Mis- hima, for example, likened the intensity Kawabata creates in ‘‘House of the Sleeping Beauties’’ to being trapped on an airless submarine. ‘‘While in the grip of this story,’’ he stated, ‘‘the reader sweats and grows dizzy, and knows with the greatest immediacy the terror of lust urged on by the approach of death.’’ Gwenn Boardman Petersen found sadness and longing recurring concerns for the author, and Arthur G. Kimball judged Kawabata's treatment of such themes the source of the timeless quality of his works. 1. Read Thousand Cranes. Enright, the critic, says of this text that when you finish it, you barely understand what happens, who does it, and to whom it is done. Respond to this critic’s assessment, citing specific passages from the text. Do you feel satisfied with the way the text ends? Why or why not? Write a paper in which you explain your conclusions. 2. Read Ellen Hopkins’s novel Crank and Kawabata’s Snow Country. In the first, Hopkins uses poems to tell a story, while in the second, Kawabata's narrative feels something like the experience of reading a group of haikus. Reflect on the effects obtained in each text by using poetry—either explicitly or implicitly. How do you think the texts would be changed if they followed more traditional standards for novels? Cite specific passages from the text in your written response, but remember that these are your subjective opinions. Explore them freely. 3. Do you believe your ability to understand fully Kawabata's writing is, as one reviewer has suggested, hindered by the fact that you are not immersed in Japanese tradition and culture? Can you pick out a few passages from one of Kawabata's texts that seem especially difficult to understand because you do not know the Japanese traditions and culture as well as Kawabata? Create a presentation in which you outline your findings. 4. Read a few of Kawabata’s palm-of-the-hand stories. What makes these stories work? How could you employ the devices Kawabata uses in them in a story of your own? Now, take a short story you’ve already written or that you enjoy that someone else has written and attempt to rewrite it as a palm-of-the- hand story. Enright, D. J. Man Is an Onion: Reviews and Essays. Chicago: Open Court, 1972. Furuya, Tsunatake. Hyoden Kawabata Yasunari. Tokyo: Jitsugyo no Nihonsha, 1960. Gessel, Van C. Three Modern Novelists: Soseki, Tanizaki, Kawabata. New York: Kodansha International, 1993. Keene, Donald. 5 Modern Japanese Novelists. New York: Columbia University Press, 2003. Miyoshi, Masao. Accomplices of Silence: The Modern Japanese Novel. Berkeley: University of California Press, 1974. Petersen, Gwenn Boardman. The Moon in the Water: Understanding Tanizaki, Kawabata, and Mishima. Honolulu: University Press of Hawaii, 1979. Starrs, Roy. Soundings in Time: The Fictive Art of Kawabata Yasunari. Richmond, Surrey, U.K.: Japan Library, 1998. Yamanouchi, Hisaaki. The Search for Authenticity in Modern Japanese Literature. New York: Cambridge University Press, 1978.